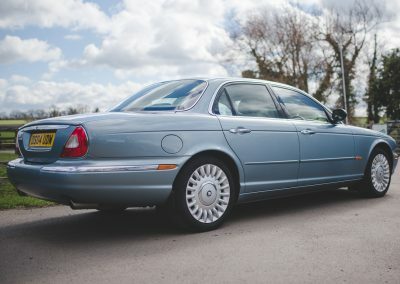 The X350 range of Jaguars was launched in December 2003 to critical acclaim and although had traditional Jaguar design cues was technologically advanced with a light weight aluminium body. 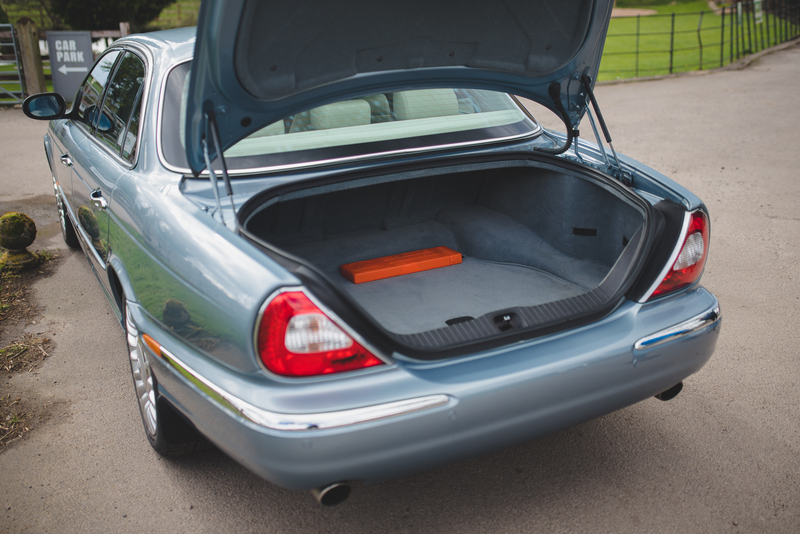 Weighing just over 1600 kg the XJ6 was between 200 and 300Kg lighter than the equivalent BMW 7 series and Mercedes S class. 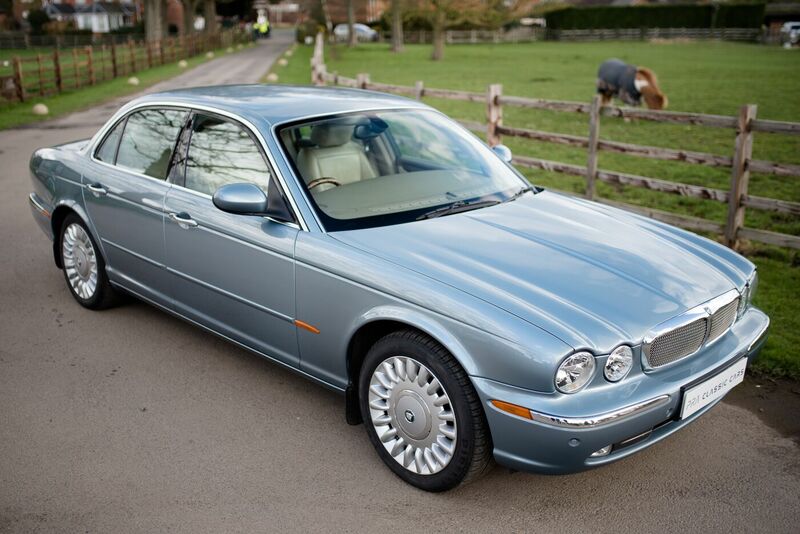 Presenting on behalf of our client, this is a commission sale and is in fabulous condition. 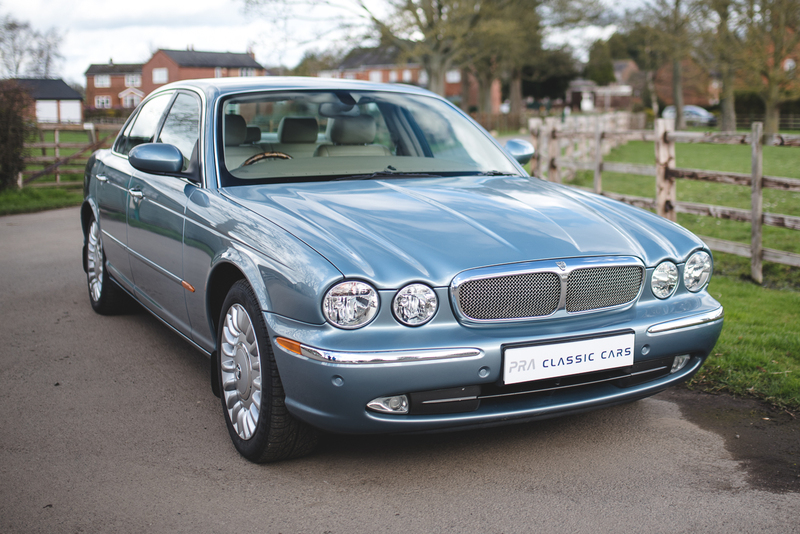 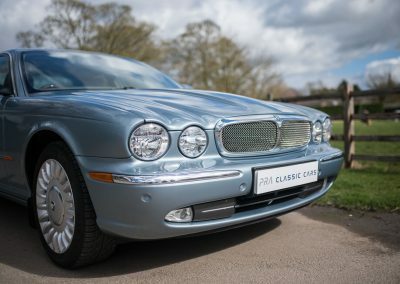 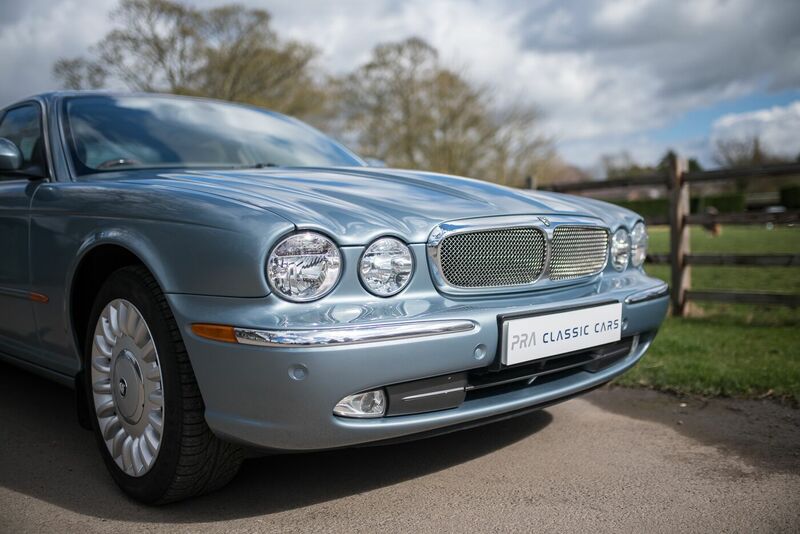 With an indicated 87400 miles which we believe to be genuine, this car is finished in Zircon blue with ivory leather upholstery. 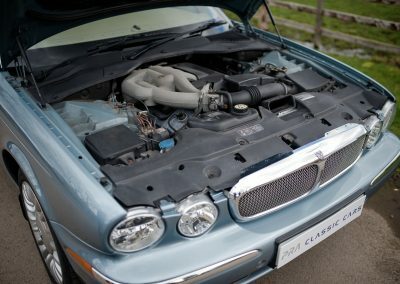 This Jaguar comes with a good service history with 13 service stamps, the last of which was at 84126 miles. The Jaguar has an MOT until September 2019 and has just had a new radiator and lower front suspension wishbones with an invoice for £1895. 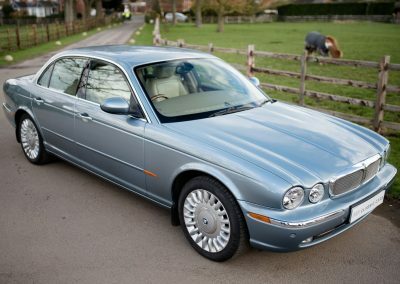 As with all of our commission sales, this Jaguar doesn’t come with any warranty but has been inspected and we are not aware of any faults. You are welcome to arrange your own inspection if you wish. 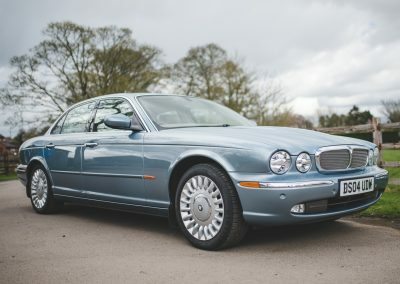 The Zircon blue metallic paint is in very good condition with only a few small blemishes to show this car is 15 years old. 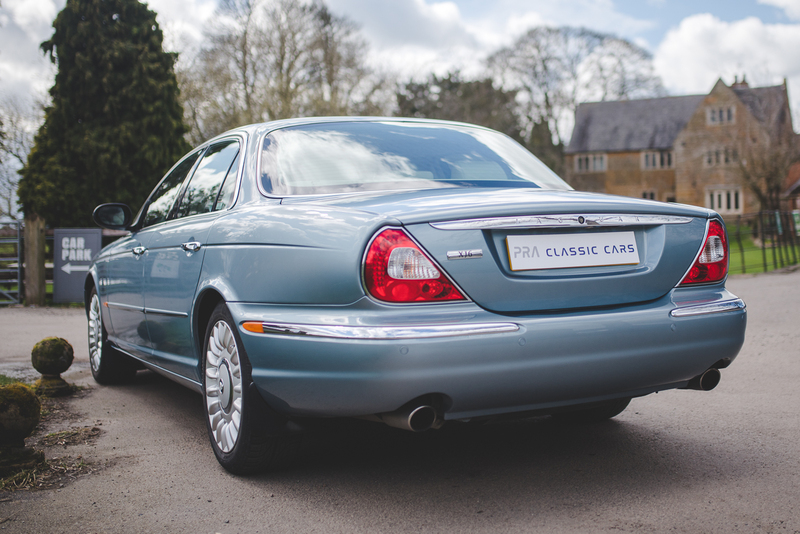 There is a hairline scratch on the rear passenger wing and the driver’s door rubbing strip has a few marks. 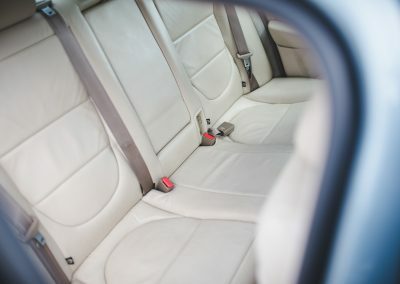 The doors are straight with no dents and there is no corrosion at all. 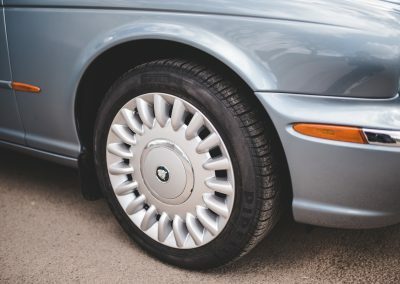 The 18” alloy wheels are excellent having been refurbished at some point. 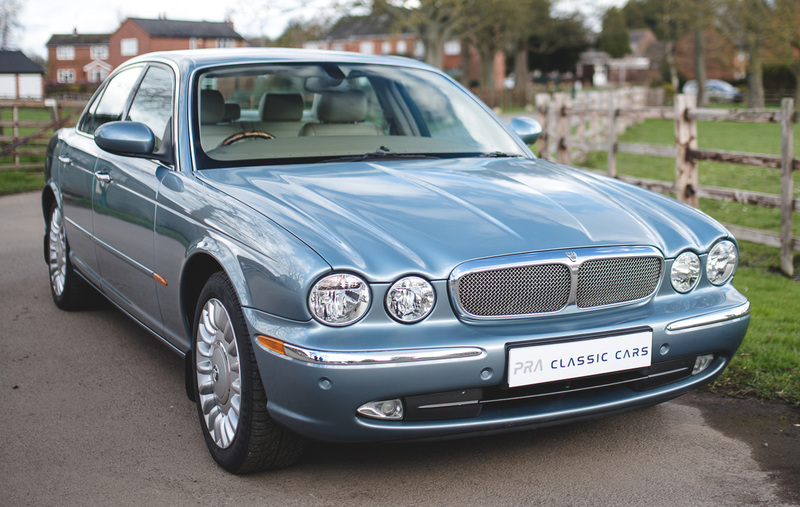 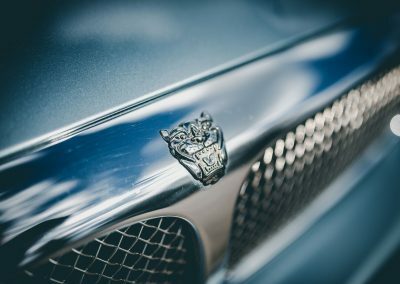 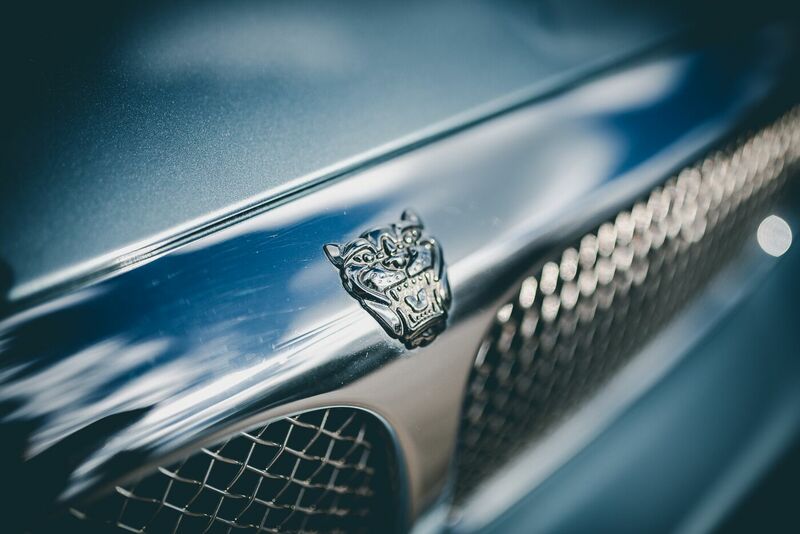 The chrome and bright work look as new and this Jaguar benefits from having the mesh grille from the XJ6 Sport fitted. 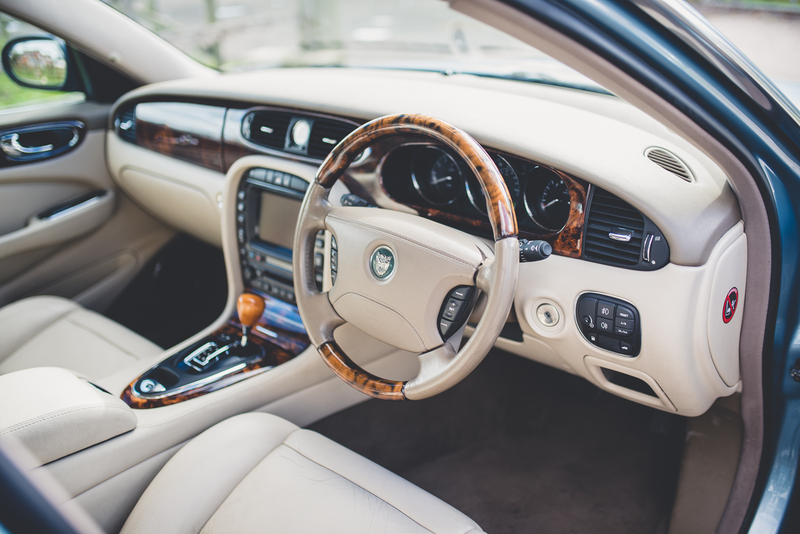 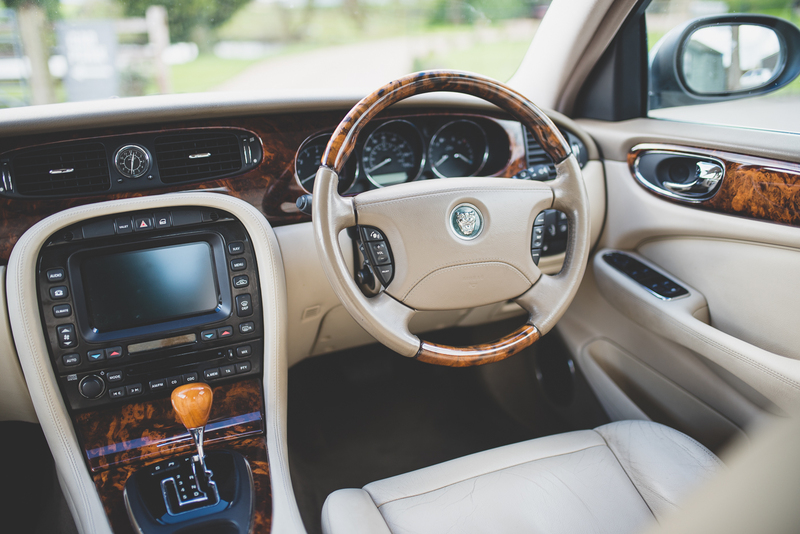 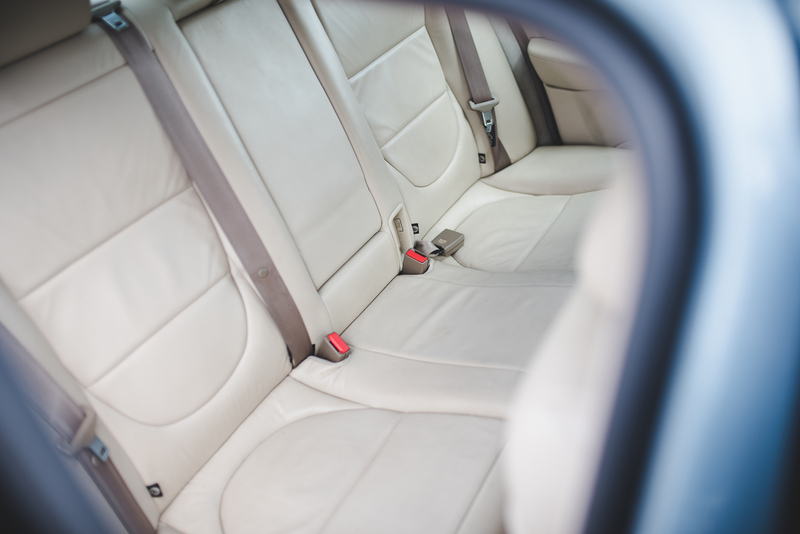 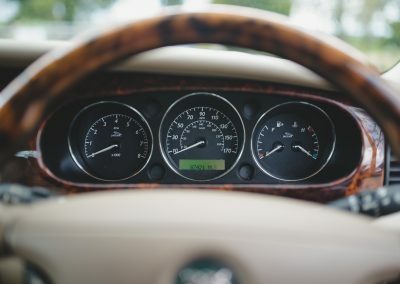 The interior of this XJ6 is traditional Jaguar being luxurious and opulent with its sand leather upholstery and deep pile carpets. It looks like a 3 year old car with very little wear and marks to detract. 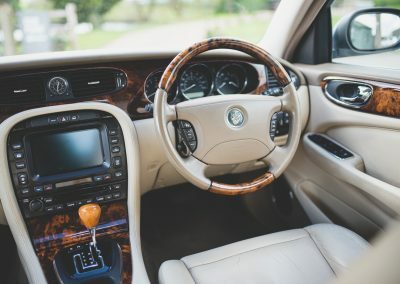 The wood inlays on the doors, dashboard and centre console are unmarked as are the door cards and seat backs. 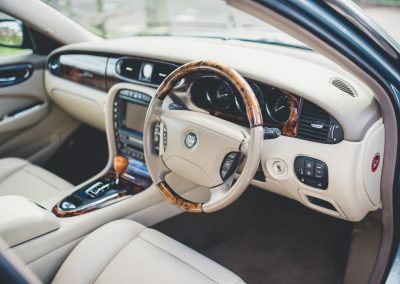 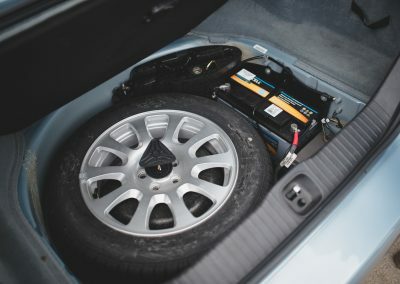 The electric front seats are very comfortable and with fully electric adjustment for the steering column and foot pedals an ideal driving position is easy to find. 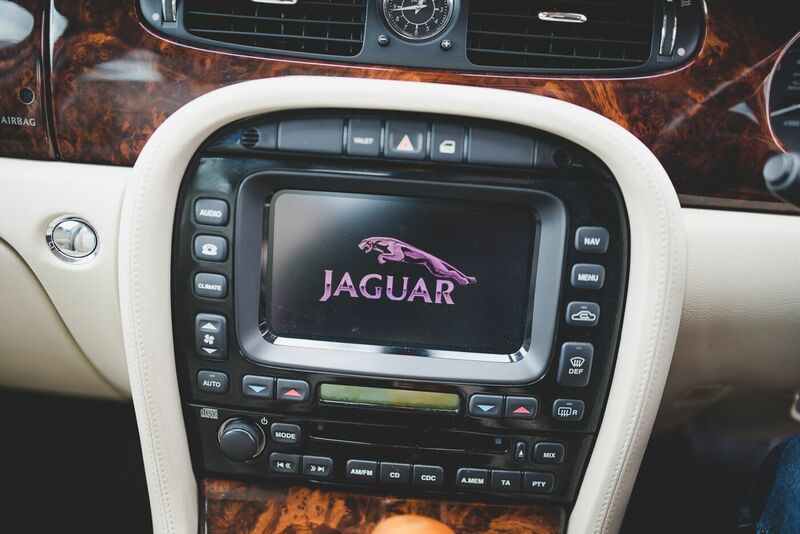 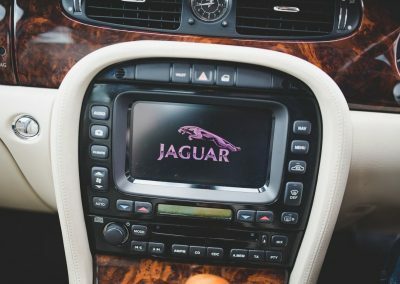 This Jaguar was specified with the factory touch screen which controls the sat nav, heating and ventilation as well as the six speaker stereo system. 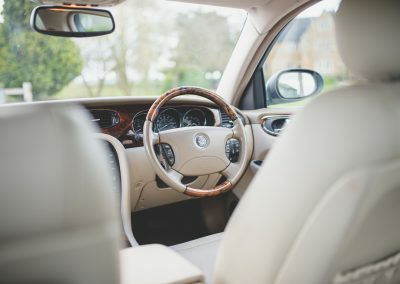 The car also benefits from having climate control. 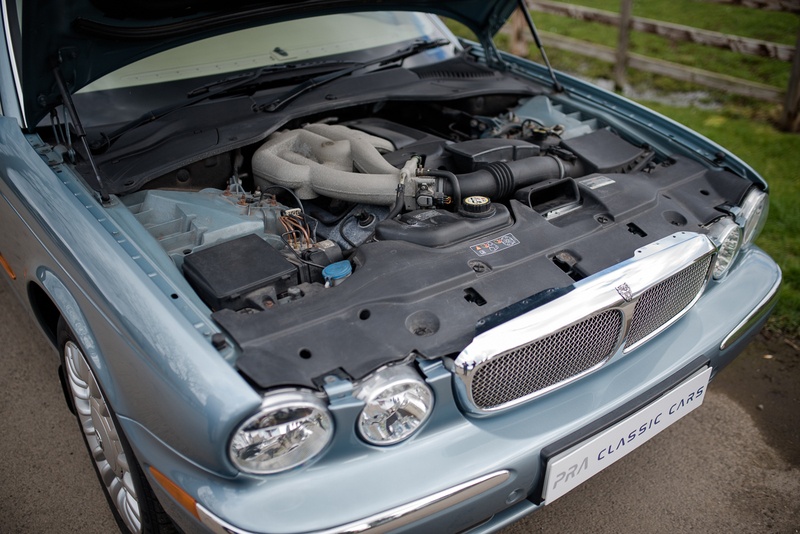 The 3.0 litre AJ16 6 petrol engine produces 240 BHP and is smooth and powerful. 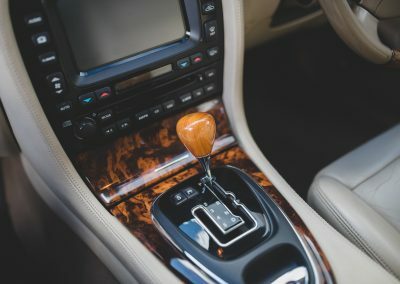 Coupled to a six speed ZF transmission with sport mode this car can reach 0-60MPH in 7.8 seconds and has a top speed of 145 MPH. I have driven this car and enjoyed the experience very much. 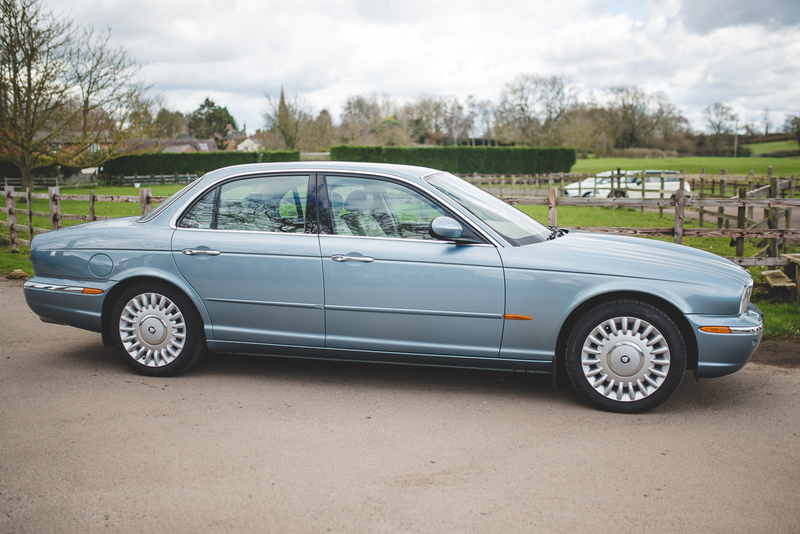 Being relatively light in weight compared to the competition the car is brisk with excellent handling and brakes. 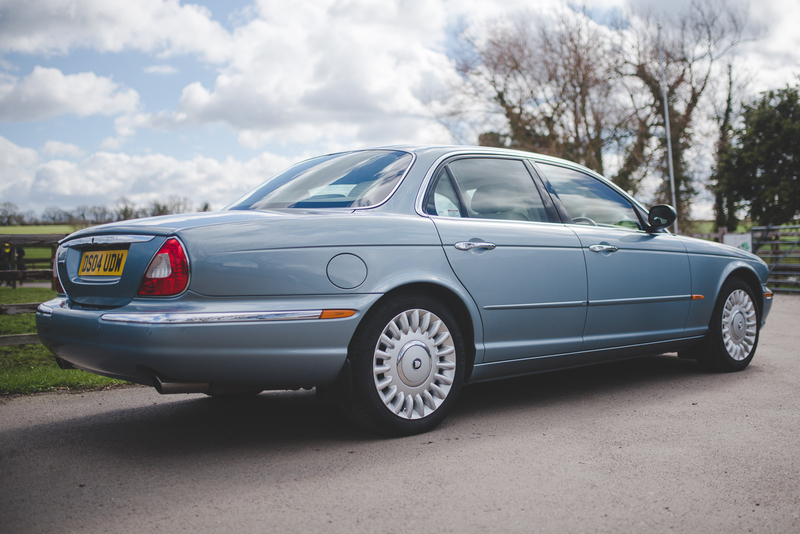 The matching Pirelli P6000 tyres have plenty of wear left on the front with the rears needing replacing over the next 4-6000 miles or so. 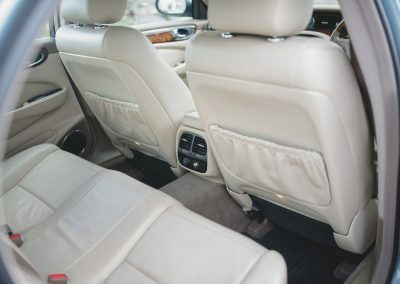 Switchable air suspension, 18” alloy wheels, Sport mesh grille, 6 speed auto gear box, ABS with brake assist, Traction control, Dynamic stability control, Adaptive cruise control, Alarm with remote central locking, PAS, Electric adjustment for steering column and foot pedals, Electric adjustment for driver/passenger seats, ivory leather upholstery, Climate control, Sat nav, 6 speaker stereo with CD, Trip computer, Electric windows, Electrically operated/heated door mirrors, Driver/passenger/side air bags, Front/rear fog lights, Front/rear parking sensors, Walnut dash/centre console/steering wheel and door inlays, Walnut gear lever, Rear seat rest with cup holders.